Dr. Sadanaga attended the University of Pennsylvania’s School of Veterinary Medicine, interned at the California Animal Hospital in Los Angeles, CA, and completed his surgical residency at Penn. He is also a board-certified Diplomate of the American College of Veterinary Surgeons. Dr. Sadanaga is one of the region’s leading soft tissue surgeons, and was one of the first in the nation to specialize in soft tissue surgery in private practice. With more than 25 years of experience, he has expertise in a variety of surgical procedures and incorporates the latest technologies in his advanced approaches to treatment. He has been frequently called upon for his skills in surgical oncology, general surgery, plastic and reconstructive surgery, emergency surgery, neurosurgery and select orthopedic procedures. He is also recognized for pioneering a new surgical technique to treat laryngeal paralysis in dogs. 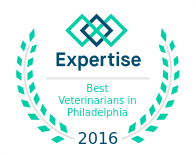 Dr. Sadanaga is a member of the American College of Veterinary Surgeons, the Veterinary Cancer Society, the Delaware Valley Academy, and other regional and national veterinary medical associations.